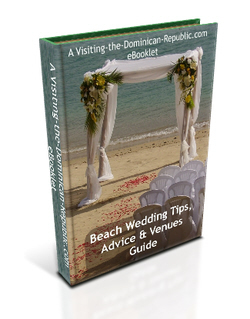 Planning on becoming one of those happy Dominican brides? Here are our top tips to help ensure your wonderful Caribbean wedding is the start of a marvelous marriage and a few thoughts and words of advice to help ensure things run smoothly. So, you are planning to make that all-important transition into married bliss by becoming one of the select number of perfect Dominican brides. 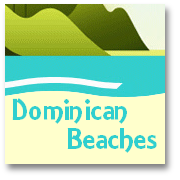 We can hardly think of anywhere better for your dream than the ‘Caribbean’s best kept secret’ . But remember that possibly for the first time, you will be in quite different cultural surroundings from those you are accustomed to. No matter how much you plan ahead, being miles away from home and in a new and different environment can add to what is evidently bound to be a stressful time. You should always allow yourself enough time in resort prior to your Caribbean wedding ceremony to ensure that your special day progresses as smoothly as possible. The hotels ‘wedding’ arranger will likely be highly trained and experienced in ensuring all Dominican brides have the perfect day, but even so, you need to have time to allow yourself and your party to get to know your way around your chosen venue; get accustomed to the surroundings and begin to soak up some of the local atmosphere. SPECIAL ARRANGEMENTS: Don’t forget to enquire about any special arrangements your ‘host’ hotel offers to Dominican brides – For instance some can arrange live music of various kinds; it may be possible to ensure particular favorite songs are included in the bands 'set'; some offer ornate wedding carriages drawn by horses; go ahead and 'pick the brains' of your Caribbean wedding organizer...and make your day as special as possible! FLOWERS: Remember the DR is an ‘exotic’ location, so you should look into what flowers are available as there should be a range of ‘warm climate’ blooms that would be ideal for your Caribbean wedding at any time of year. This is just one of the many bonuses that the beautiful setting of the DR can provide for 'blooming beautiful' Dominican brides. PHOTOGRAPHS: Don’t forget that you need not only to consider who will take the photographs, and maybe the video of your unforgetable moments as one of the select few who become Dominican brides each year. You should also be clearly instructive about just what photos you would like to have taken by the photographer at your wedding in the Dominican Republic. There will be limited time, no doubt, after your arrival at resort with so much to ‘practice’ and prepare for, that it will help to ensure a list of particular photo groupings is provided to prompt the photographer. THE CAKE: Due to the fact that you will be ‘remote’ from your host hotel until shortly before you become one of those ‘blushing’ Dominican brides, you should ensure that if you want a particular type, or design of cake that full details and even a photo of the type of cake you require is provided well in advance. DRESSING FOR THE WEDDING: When you plan your Dominican brides and grooms attire, take account of the weather conditions and ensure that you choose accordingly. It can be VERY warm and you want to feel as cool, calm and collected as possible on what can be a stressful day...you also don’t want to look too sweaty, red, and uncomfortable on your photographs...or to keel over, due to overheating, during your vows! LOOKING YOUR BEST: Most ‘wedding venues’ in the DR will have a range of additional pampering services that they offer. Besides the obvious things to prospective Dominican brides, like hairdressing, you may also want a makeover and to have the full manicure and nail-paint-job! So make sure you allow enough time, in advance of your Caribbean wedding ceremony, to arrive, settle in, take advantage of a day or two’s sun perhaps, so that you are healthily glowing and brown for your photos. BUT BEWARE...don’t be tempted to overdo the sunbathing!! The ‘memories’ of your special day will not be enhanced by the appearance of beetroot-red faces throughout the ‘wedding album’! Nor do you want to be ailing from the effects of heatstroke throughout your ‘happy occasion’! Come to that you should also remind the groom not to overdo the ‘Presidentes’ (popular local bottled beer!) or Dominican rum and cigars the night before! A Pale green grooms are equally as unbecoming on wedding photos as beetroot-red Dominican brides! PAMPER YOURSELF:It may be that the hotel also provides massage and other stress-reduction therapies you can take advantage of, which will all contribute to that perfect serene look on the special day. 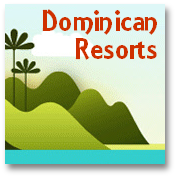 But remember, if you are visiting the Dominican Republic at a peak time, you should ‘book your requirements in advance’ to save any disappointment should they be too busy near the time. THINK INSIDE OUT!!? 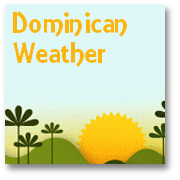 : Remember that, whilst the Dominican Republic weather is some of sunniest in the world, at certain times of year (as with all Caribbean wedding islands) the odd ‘tropical downpour’ can occur! And we mean DOWNPOUR. Even though it may last only a few minutes it can be enough to undo hours of beautification and ruin many a ‘best pair of shoes’ and finely pressed suit! SO... when confirming your preferred wedding setting in the grounds of the hotel, be sure to have an alternative indoor option agreed with the ‘banqueting manager’...just in case the need arises at the last minute! A little pre-planning can save many a Dominican brides’ day. ...AND DO CHECK:This is particularly important in so far as many popular wedding venue hotels will have several weddings occurring on one day...so you will not have much option with respect to delaying the ceremony. This factor can cause some aggravation, if the happy couple feel pressurized and ‘hurried’ through what should be a special, solemn occasion - the perfect Caribbean wedding. Do check with the hotel management to see what other ceremonies are occurring and how flexible they will be able to be on the day...forewarned is forearmed! "CAN I GET A WITNESS? ": Also...make sure that you have considered the need to have two ‘witnesses’ for your Caribbean wedding. If you intend to bring your witnesses with you, perhaps as part of a wedding party, then they will need to supply a proof of identity in the form of their passports, on the day. 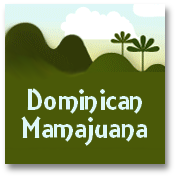 If however you ‘recruit’ some Dominican witnesses, then they can use their official I.D., known locally as a ‘cedula’. When you marry in the DR at a hotel, you will receive a written confirmation that the marriage has taken place. It is then necessary to contact the local Justice of the Peace in order to obtain a legal and valid marriage certificate. This is the certificate that will be recognized wherever you live as a confirmation that a legal marriage has taken place. You should, however, consider approaching the appropriate consulate in the Dominican Republic to have the certificate validated. This will make obtaining visas in a new name, if relevant, much easier for the affected partner (usually, even these days, the wife, of course). Sometimes this whole process can be arranged by, and/or may be included in the ‘Caribbean Wedding Package’ that you purchase. 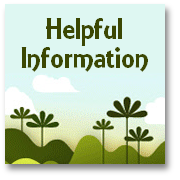 However, you are advised to check out what is included, and whether or not these arrangements can be made at an extra cost when making your booking. It can easily take at least a month for all the paperwork to be completed and for you to receive your validated certificate. We never share your details. A confirmation will be sent to your email address and when you clcik the link in that email you will receive the free eBook immediately. Thanks very much! (Affiliations: Links above are to external websites where products to help you plan and make a success of your wedding are on offer. We are affiliates for these products and will make a small commission if you choose to buy.